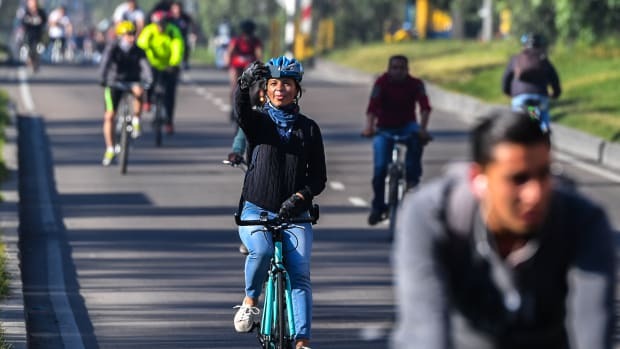 A woman takes a picture while riding her bike during a car-free day in Bogotá, Colombia, on February 1st, 2018. 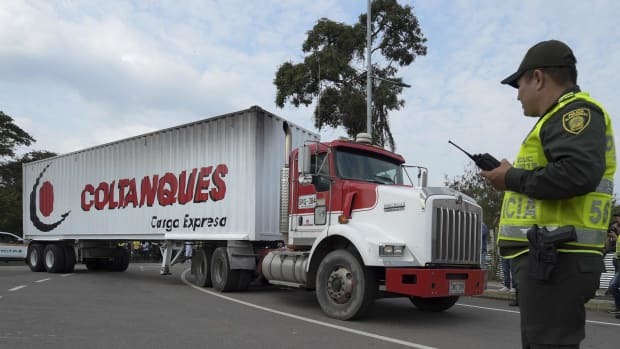 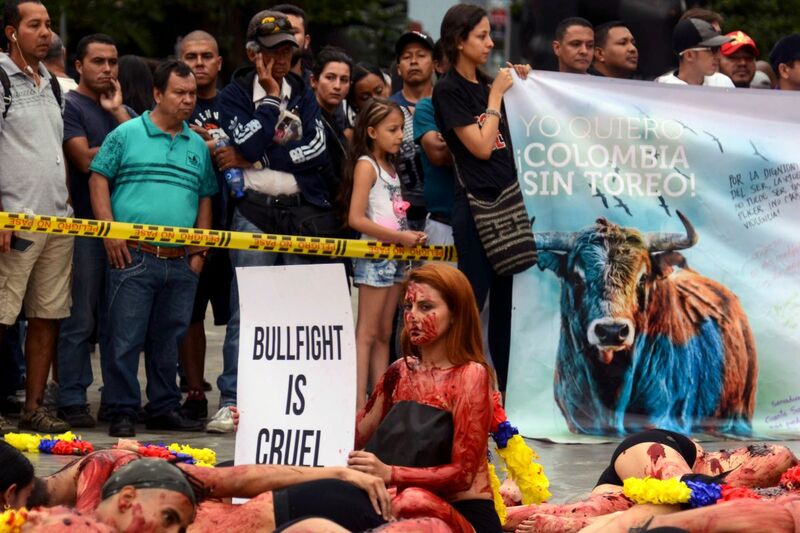 Trucks loaded with humanitarian aid for Venezuela arrive in Cucuta, Colombia, a city on the Venezuelan border, on February 7th, 2018. 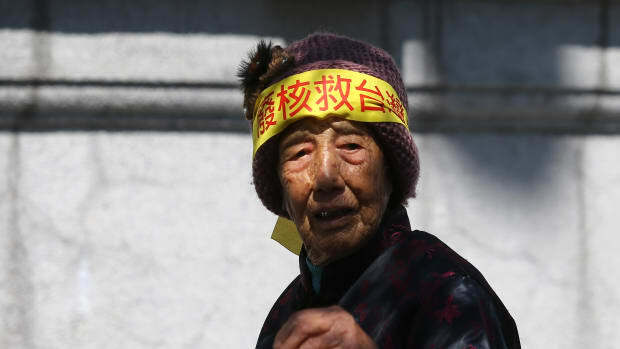 An activist takes part during a protest against the use of nuclear energy in front of the presidential office in Taipei, Taiwan, on March 11th, 2018. 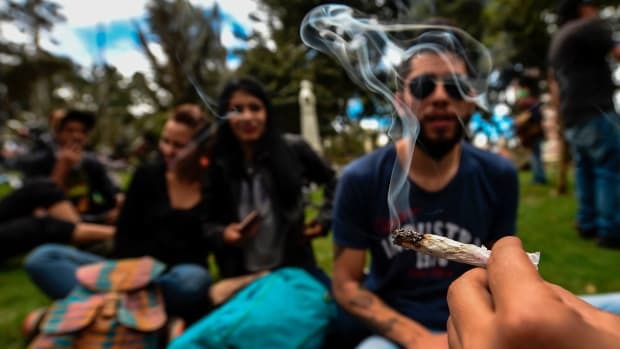 Activists smoke joints during a protest against the imposing of fines for smoking marijuana by police according to their new code, in Bogota, on August 1st, 2017. 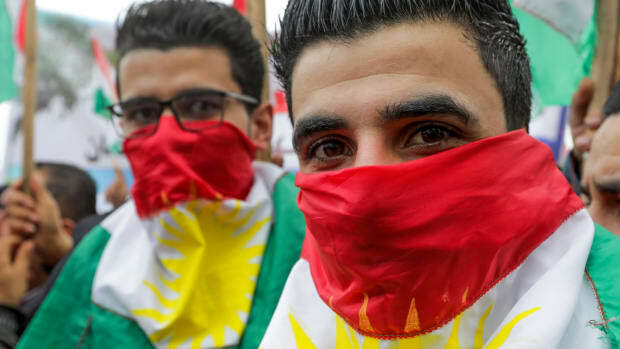 Lebanese Kurds take part in a protest near the European Commission offices in Beirut on January 28th, 2018, against the ongoing Turkish military campaign in the Kurdish-held Syrian enclave of Afrin. 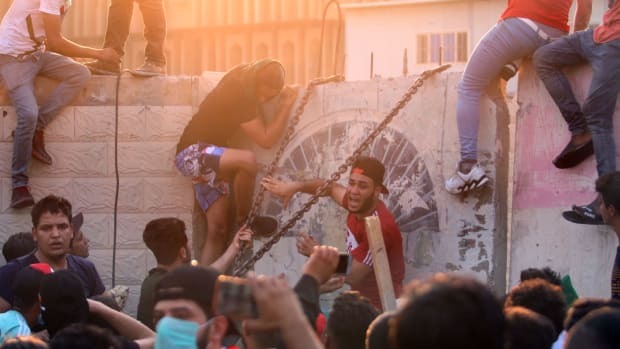 Iraqis protest against the government and the lack of basic services outside the regional government headquarters in the southern city of Basra on September 5th, 2018.